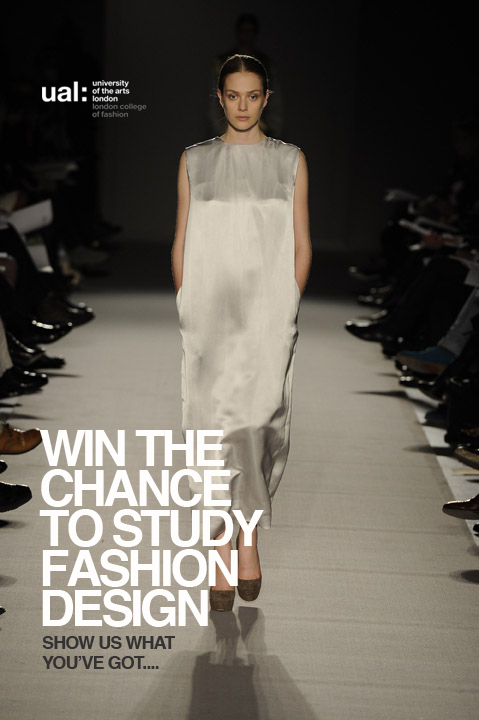 Would you like the opportunity of getting a free fashion design class at London College of Fashion? Well we have found the perfect chance for all you fashion designers and fashionistas. London College of Fashion runs short fashion and make-up courses in Dubai in October, January and May. They have been successfully running these world courses in Dubai since 2010 and are soon to return to start another programme this October. All of their short courses are taught to the same standards as their prestigious UK courses. Their tutors are all London based industry experts of the highest calibre. We thought you might be interested in hearing about a really amazing competition currently running for our Blog, Facebook and Twitter followers? I’m sure your readers would be really interested in hearing about the competition and getting involved. They offering one lucky follower a chance to win a place to study on their prestigious Fashion Design 1 short course taking place in Dubai from the 11th to the 14th of October. The course is run by their amazing design tutor Richard Sorger who has dressed the likes of Heidi Klum, Jennifer Lopez and Florence Welch!! The competition is really as great as it sounds! The followers simply need to sketch their dream red carpet look and upload it to THEIR Facebook page. The judges then pick a winner on the 1st of October. Hurry there are only a few days left. Good Luck everyone. This entry was posted on Wednesday, September 26th, 2012 at 2:51 PM	and posted in Uncategorized. You can follow any responses to this entry through the RSS 2.0 feed.